Hernando de Soto was born in the town of Jerez de los Caballeros, Spain in the year 1500. At the age of 14, he packed up his bags and joined a large Spanish expedition (entrada) bound for Panama. Also, on this expedition was Soto's future partner Juan Ponce de Leon. When he arrived in Panama Hernando would serve under the command of Captain Francisco Pizarro. Soon after arrival, Hernando de Soto, Francisco Pizarro and Juan Ponce de Leon would learn that there was very little gold in Panama. So they immediately turned to slavery for a source of income. Hernando arrived in Panama in 1514, and by 1526, the entire Cueva Civilization had vanished into extinction. All of them had been sold as slaves. Next, Hernando would spend eight years in Nicaragua. Again he would prosper by enslaving the masses. Slaves were branded on the face with the mark of the King of Spain, and then sold on the slave market. In 1524, Hernando joined Francisco Pizarro in establishing the Company of Levant. Then in 1531, Hernando and Francisco Pizarro were en route to the city of Cajamarca, Peru, where Inca King Atahualpa was waiting with his giant army. Pizarro had just 168 men, 62 horses, and four cannons. After five days in the mountains they found themselves looking down on a beautiful fertile valley filled with the largest army they had ever seen. The next day the Inca army marched into Cajamarca and filled the town square. The Inca were unarmed, they did not want to offend the Spaniards. Then, when the plaza was completely filled with approximately six thousand soldiers, Pizarro had his cannons discharged at point blank range. This cut down swaths of Inca soldiers and created great confusion and panic as the Spaniards emerged from hiding. Next, the horse soldiers attacked. In a short time, all six thousand were dead or wounded. Out of desperation, Atahualpa paid a ransom. He would fill one of the rooms in the Temple of the Sun with gold and silver six feet high if he were to be set free. The Spaniards received 11 tons of gold, and 13 tons of silver. After all of the money was counted, Atahualpa was executed. Next, the Spaniards headed for Cuzco. In the lead was Hernando de Soto. After many skirmishes, Soto would enter Cuzco triumphantly on November 15, 1533. In Cuzco, the Spaniards would find an amazing amount of gold and silver. In the process they gutted many of the Incan religious temples. Soon Hernando de Soto was living like a king in a palace in Cuzco. His new title was lieutenant governor, and Soto's palace became the new city hall. Then in 1536, amazing stories would circulate about Alvar Nunez Cabeza de Vaca. Cabeza de Vaca had become the first person to walk from Florida to Mexico City. After hearing the news, Soto quickly organized an expedition to La Florida, as it was called. It would soon become the most expensive expedition ever. Soto and his men would fight one tribe after another. Before long, the Spaniards would find villages emptied upon their arrival. Soto kept pushing and pushing, sometimes traveling all night on rumors of gold. 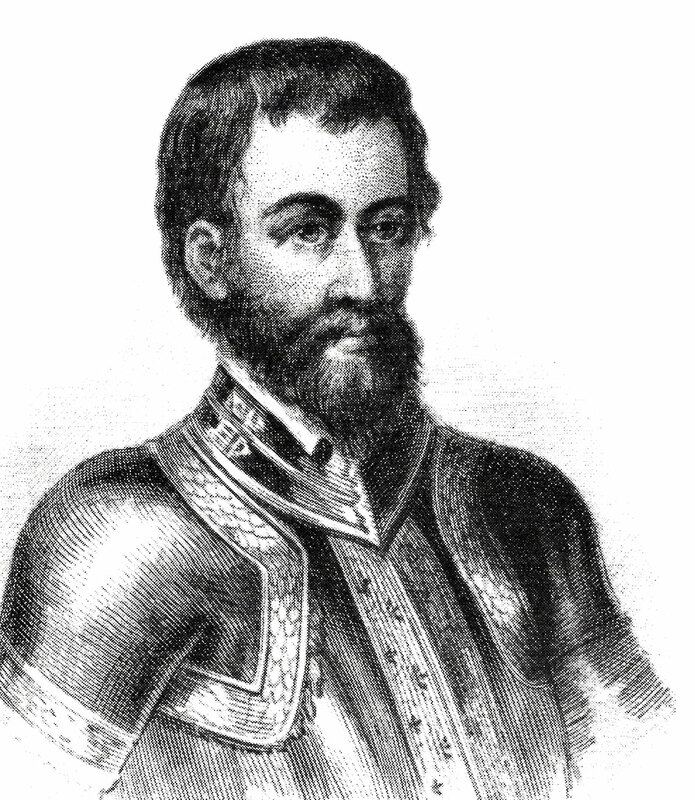 Then, in mid-May of 1542, Hernando de Soto would die of fever and his body was disposed of in the Mississippi River. They never did find treasure.